Excellent condition, low mileage. Single slide out rear queen sleep number bed. New tires, loads of storage. Ford E450 chassis. Additional photos on request. Only 18300 miles! Sleeps 5. Very clean. 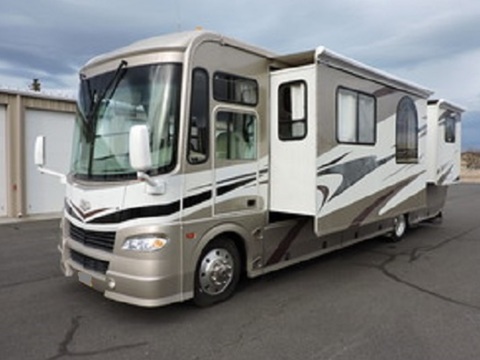 V-10 gas engine, built-in generator, bunk over cab, microwave, roof AC, 1 slide out, cruise control, rear trailer hitch, center kitchen, spare tire, patio awning, gas/elec. water heater, 3 burner stove, large rear storage area. Pack your bags, this camper is running great and ready to go! 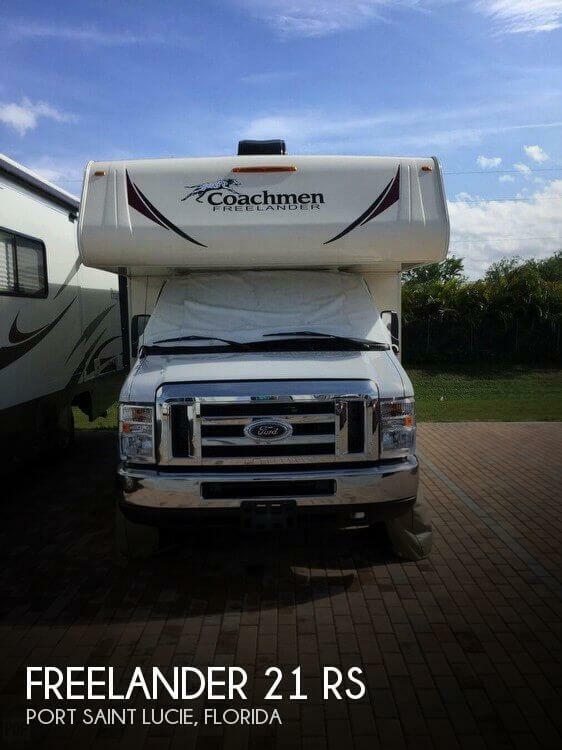 2006 ONE OWNER Coachmen Epic 3480DS 36 Ft. Motor Home built on a larger Ford Chassis (22.5 Tires)and equipped with a Ford V10 Engine. 2 Slides with new topper awnings, 2 Roof ACs, Onan 5500 Generator, Hide a Bed Sofa, Free Standing Dinette, Swivel Chair, 2 Door Refrigerator, Oven, Gas Cook Top, New Microwave Oven, Rear Queen Walk around Bed with storage underneath, Mirrored Wardrobe, TV, Antenna, Bathroom with Shower, Vanity and Toilet, Power Weather Pro Awning, Back Up Camera, Rear Ladder, HWH Hydraulic Leveling System and Drivers Side Door. Have all service records. 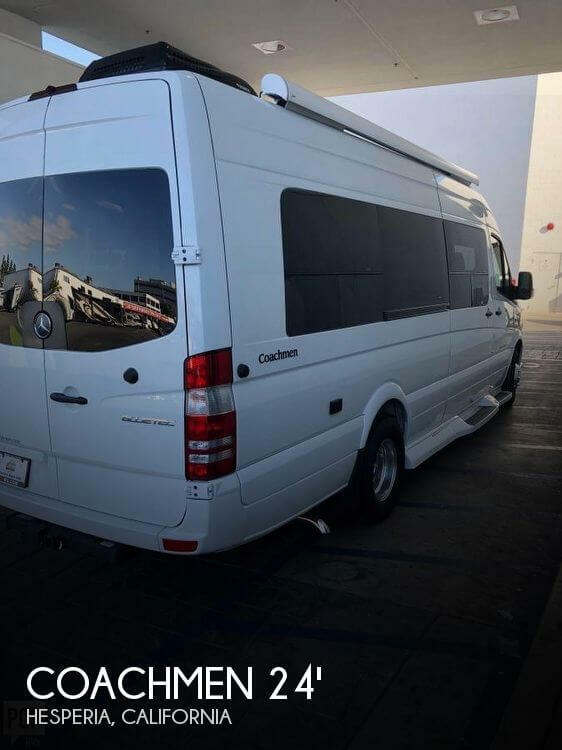 As stated by the owner, the RV is now in excellent condition. Pet Free! Non Smoking Unit! During winter storage, a tree fell on the roof causing damage. The Trailer was taken back to the original manufacturer (Coachmen) (repaired and inspected!) who replaced the entire roof, ac unit, vents, etc., including the liner. Completely repaired, the trailer is now ready to go! Even a surge protector has been added!! Interior is in good condition. Kitchen appliances and cabinetry are in good condition. The bathroom is in good condition. Outside is in good condition to include the awnings! All systems work accordingly! 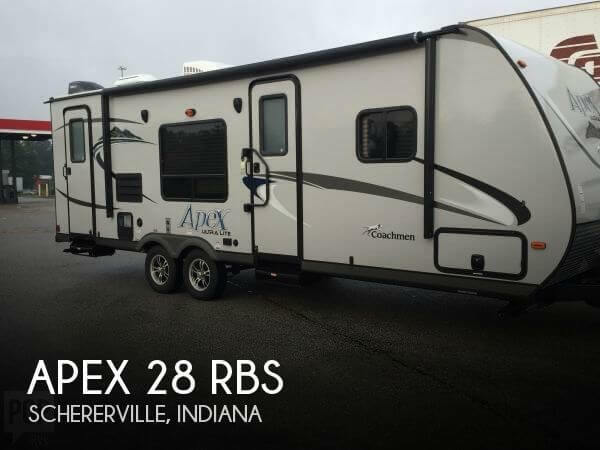 Stock #172465 2016 APEX BY COACHMEN TRAVEL TRAILER SLEEPS 4 NEAR NEW If you are in the market for a travel trailer, look no further than this 2016 Apex 28 RBS, just reduced to $18,250. This Travel Trailer is located in Schererville, Indiana and is in great condition. Reason for selling is owner is purchasing a larger bumper pull trailer!. Upon inspection of this unit it has obviously been lightly used and all components appear to be in working order. Tires are original and show good tread. Both driver and passenger seats have custom covers. Stock #175907 Awesome RV thats barely been broken in! Always well cared for and maintenanced! If you are in the market for a class a, look no further than this 2014 Pursuit 33BH, just reduced to $79,000. 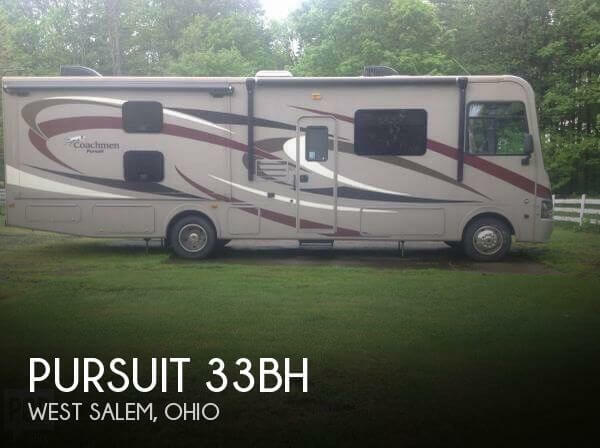 This Class A is located in West Salem, Ohio and is in good condition. She is also equipped with a Ford engine that has 8,000 miles (as of April 4). Reason for selling is no longer using. Stock #176597 Great Condition, Tons of Room, Ready to Ride today, Come and see it! 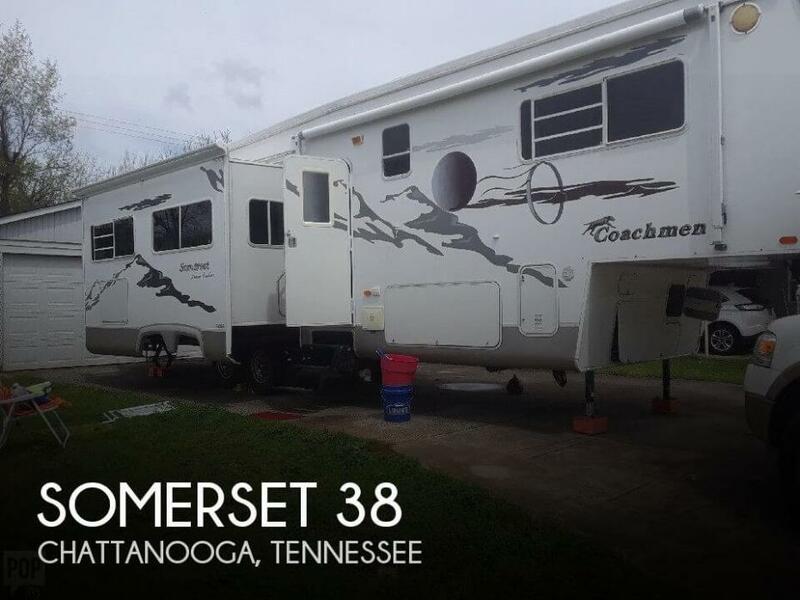 If you are in the market for a fifth wheel, look no further than this 2004 Somerset 38, priced right at $16,750. This Fifth Wheel is located in Chattanooga, Tennessee. The owner reports that all listed features are in very good working order and it is in like new condition. Very low miles and lightly used. Our offers are fully contingent on inspection so you can confirm for yourself too! Stock #163983 Like-New Coachmen Mirada Bunkhouse model with very low mileage! If you are in the market for a class a, look no further than this 2017 Mirada 34BHI, just reduced to $113,500. 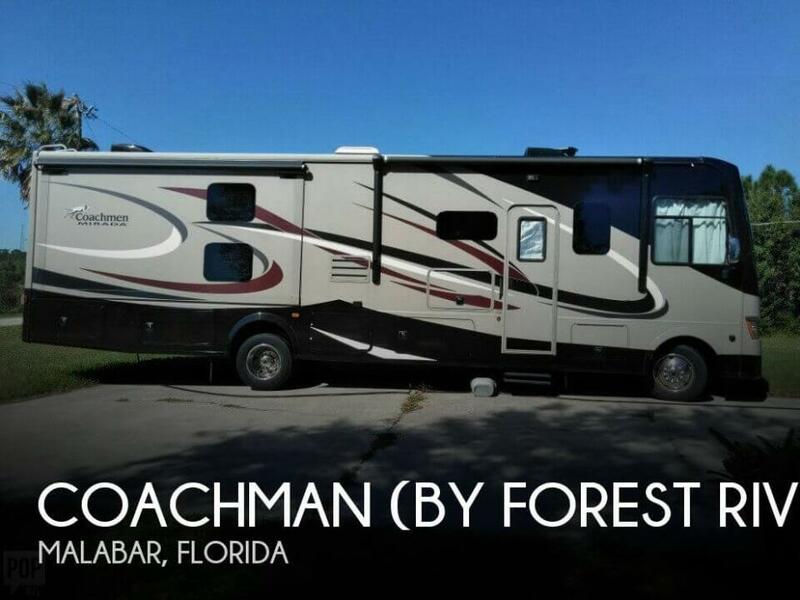 This Class A is located in Malabar, Florida and is in great condition. She is also equipped with a Ford engine that has 14,000 miles (as of November 9). Reason for selling is ready to sell!. According to the seller, this unit is in very good condition. We have not yet been on this particular unit yet. All information in this listing is believed to be accurate and correct but at the present time has not been personally verified. We encourage all inquiries and questions relating to its present condition, the accuracy of details including but not limited to its location, engine hours, service history, listing status and features. 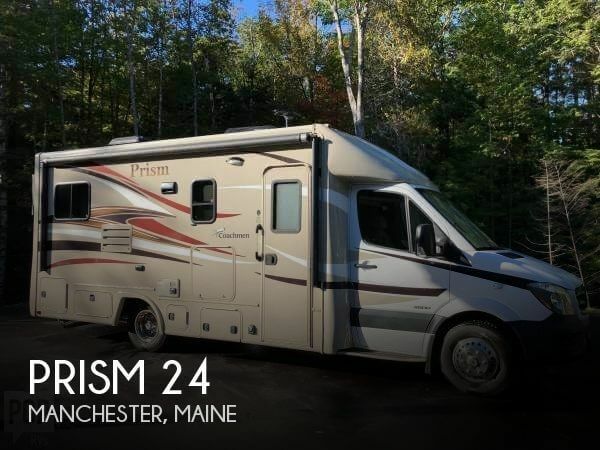 Stock #169400 Awesome Prism 24 with very low miles, low mileage tires and in great shape overall If you are in the market for a class c, look no further than this 2016 Prism 24G, priced right at $64,500. This Class C is located in Manchester, Maine and is in great condition. She is also equipped with a Mercedes engine that has 3,890 miles. Reason for selling is we just had another child and our family no longer fits.. Brand new condition, barely used. Low miles, everything works and functions as it should according to the seller. Generator has never been actually used, only started when it was first purchased and also as part of the winterization/de-winterization process. So, it has only about 5 minutes of run-time on it. Stock #175790 2017 Class C Coachmen Freelander 27QSC (29 ft) Excellent condition, one owner, 12,150 miles. See to appreciate. 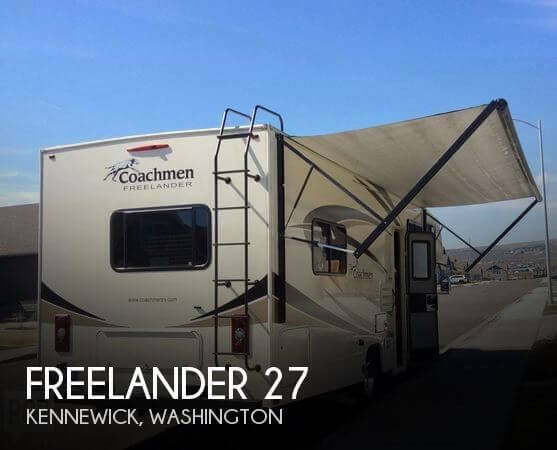 If you are in the market for a class c, look no further than this 2017 Freelander 27, priced right at $65,600. This Class C is located in Kennewick, Washington and is in great condition. She is also equipped with a Chevrolet engine that has 12,150 miles. Reason for selling is don't use it enough..
New Tires with less than 500 miles on them. Changed in August. New batteries,one piece sealed roof, Interior looks new, exterior looks new. Paint still shines and looks amazing. Per seller: All records and manuals. Very well maintained. All systems have been gone through and checked everything works. Stock #173758 31 Mirada with 2 slides. Four seasons Fully insulated heated plumbing compartments use all winter. One piece sealed roof! This beauty was lovingly used and shows pride of ownership! Seller states all systems are in great working order. The only known deficiency is on the tile back-splash in the kitchen which pulls away from the wall in a small section. Fifth-wheel hitch is available for an additional $1000 Stock #175447 Excellent condition Brookstone 334RE! Meticulously maintained! Immaculate inside and out! Loaded and ready for the road! 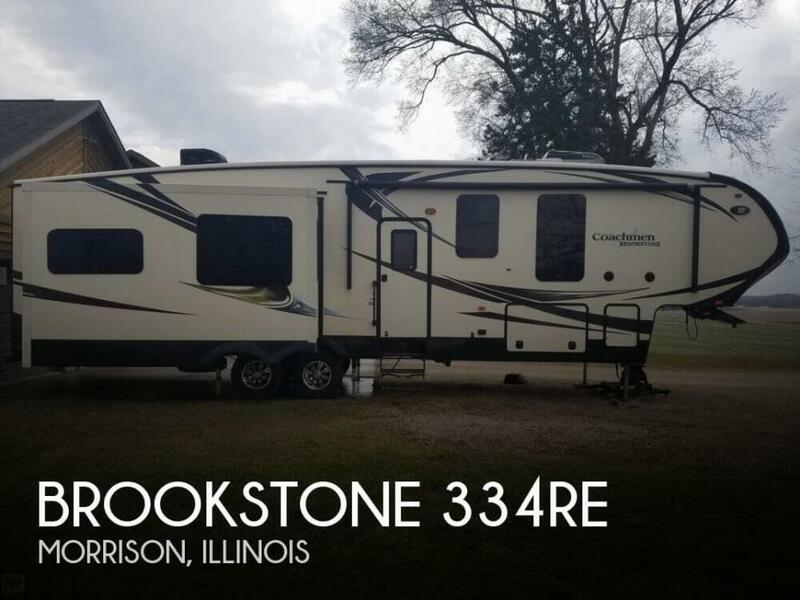 If you are in the market for a fifth wheel, look no further than this 2015 Brookstone 334RE, priced right at $40,600. 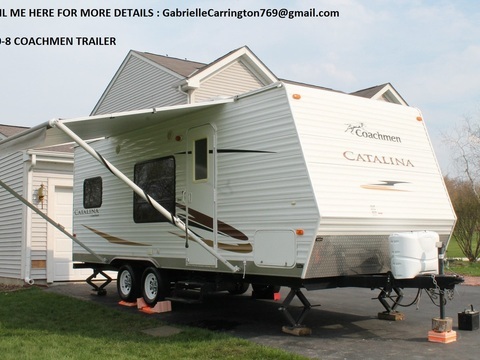 This Fifth Wheel is located in Morrison, Illinois and is in great condition. Reason for selling is no longer using. 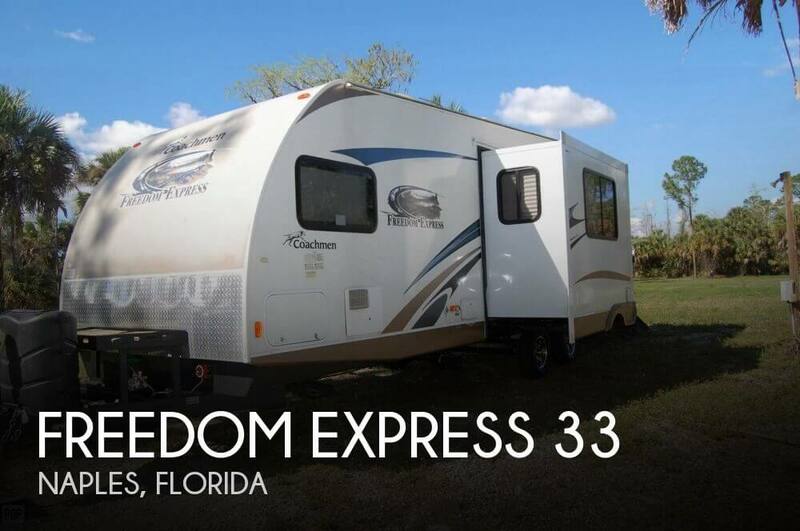 This 2013 Freedom Express BLDS Toy Hauler is in very good condition, only showing normal wear and tear for its age. Owner remarks no repairs are needed at this time. Stock #099354 Includes: anti-sway hitch, 2 2000 Honda Generators w/extended fuel tank, 1 slide out, 1 awning, sleeps 6, extended warranty plus many more items! If you are in the market for a toy hauler, look no further than this 2013 Freedom Express 301 BLDS, just reduced to $16,000. 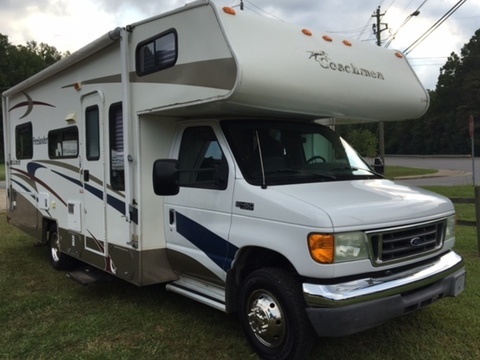 This Toy Hauler is located in Naples, Florida and is in good condition. Reason for selling is must sell doesn't fit with our lifestyle as we had hoped..
Stock #176414 Like new. Fully equipped with many upgrades. Ready for the road. If you are in the market for a class c, look no further than this 2018 Freelander 21 RS, priced right at $50,600. This Class C is located in Port Saint Lucie, Florida and is in great condition. She is also equipped with a Ford engine that has 3,200 miles. Propane-fueled generator Stereo system with speakers. All interior is pristine and in good condition. Seller reports strong pulling power for fully loaded trailers. Galley includes large refrigerator/freezer, microwave, and solid surface countertops. 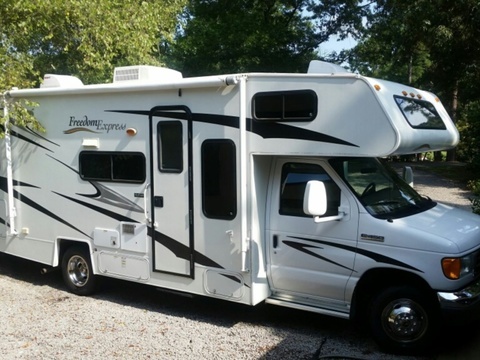 Stock #174169 If you are looking for a low miles rv here it is! Super low miles and extremely clean! 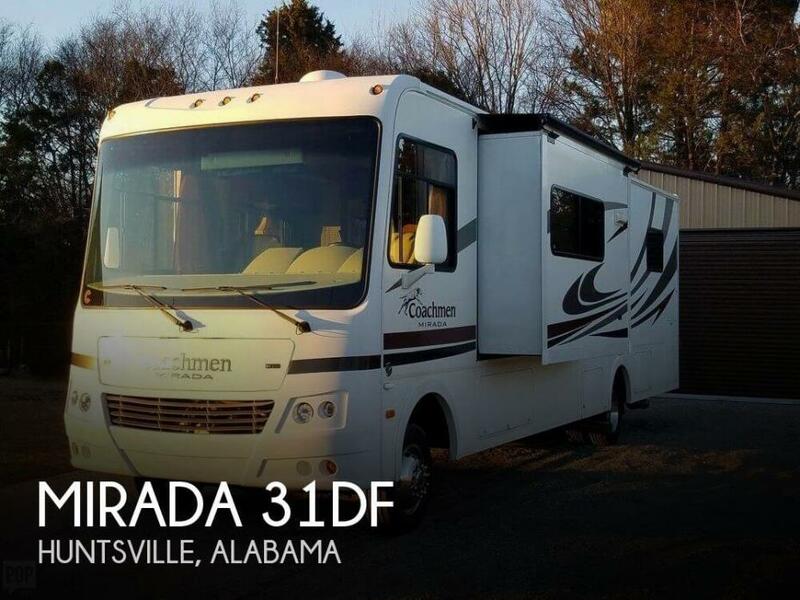 If you are in the market for a class b, look no further than this 2018 Coachmen Galleria 24T Sprinter, priced right at $152,300. This Class B is located in Hesperia, California and is in great condition. She is also equipped with a Mercedes engine that has 3,750 miles.